What is the art of the apology? Does science offer any bedrock of data about what constitutes an effective apology between intimate partners? “Love Means Never Having to Say You’re Sorry“ is a silly little chestnut from the 1970 movie Love Story. In 2005, I regret to report that it was voted number 13 of the 100 all-time most memorable movie quotes by the American Film Institute. Because from a science-based couples therapy perspective, I can tell you that: “Love Means Never Having to Say You’re Sorry” is incomprehensible BS. The science says that if you have let your partner down…lean into your spouse and understand the impact, and say you are sorry. Say so with empathy and compassion. 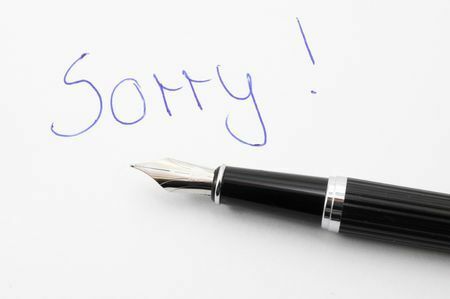 A marital apology is more than simply saying “I’m sorry.” An apology is an attempt to admit you hurt your partner’s feelings, did something really unwise, made a regrettable choice, etc. When you apologize, you are accepting full responsibility. Trying to justify or rationalize the error is defensiveness and not an authentic apology. Some partners apologize because they just want to wiggle out of the problem, or aspire to be seen in the best possible light (this is certainly my personal growing edge). Sometimes it’s hard not to squirm under the hot spotlight of our own limitations. Focusing on your own needs when you apologize isn’t really offering an authentic heartfelt apology. Some spouses apologize in order to bulldoze the past behind them and push the reset button (“How many freakin’ times do I have to tell you I’m sorry?”). But many partners choose to apologize because they are genuinely sorry for their behavior, are willing to accept responsibility. They seek to repair and make amends. Love means having to say you are sorry in a heartfelt and connected way. How to Apologize to Your Partner. It’s appropriate to express shame, regret or guilt. But it should be healthy shame-focused on the harm done to your partner, and not a toxic shame which seeks comfort from your already injured partner. A key aspect of an appropriate apology is a clear and abiding focus on what you are specifically willing to do to make things right again. You should declare your pledge to not repeat the offending behavior again. 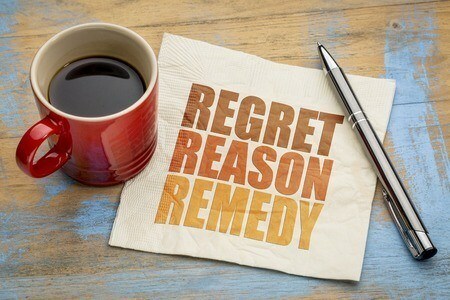 Whatever you decide to do to make amends, make sure it is significant and something that you will do without hesitation. The Art of the Apology is to Admit It… But Say it… Don’t Spray it. The foundation of an apology is to admit that your behavior hurts your partner. The trouble is, many apologies fail to do this in a way that is both clean and clear. Apologies tend to land well if you show that you understand the extent of your responsibility, exactly how your partner was harmed, and the nature of the attachment injury. Language and Syntax are Everything in the Apology. “I cheated on you” is more direct than “I never thought infidelity would ever be a problem between us.” A good apology accurately apportions responsibility in clear and unambiguous terms. Avoid Minimization. Many people fall into the “I’m sorry you feel that way” trap. Fess up to the harm your behavior inflicted. Be specific about what you did, and ask about the impact. Be curious. The Art of the Apology is to Avoid Playing Shallow Defense. Explanations can be a two-edged sword. Sometimes it’s helpful to explain a hurtful behavior, especially to assure your partner that it was not intentional and that it will not happen again. But any explanations that rationalize or excuse the behavior, or blame your partner (“You were really yelling at me”) won’t land well at all. It’s better to go into a full-on “admitting mode” and make a repair attempt (“My reaction was too extreme, I’m sorry) than to offer a shallow defense. The Art of the Apology Means No “Ifs Ands or Buts.” Don’t try to modulate your anxiety with hypothetical scenarios from parallel universes where “if only this happened, or that was fully understood, and if you only realized..blah blah..” Part of the Art of the apology is accepting the discomfort that is the collateral damage to your self-image. Self-justification is a dead end and will not lead to a meaningful repair with your partner. The Art of the Apology is to Express Sincere Regret. When you hurt someone you love, it’s natural to feel remorse, humiliation, or shame. Express those vulnerable feelings. Tell your spouse that you recognize and regret the suffering you inflicted on them. Be careful of phrases like “That was not like me at all.” Such face-saving moves may seem to dodge responsibility. But it’s OK to express that you are disappointed with your own behavior. But be careful not to careen to the other extreme of toxic shame ( “I’m such a useless piece of sh*t…”). Do not seek to be consoled for being pathetically pathological. 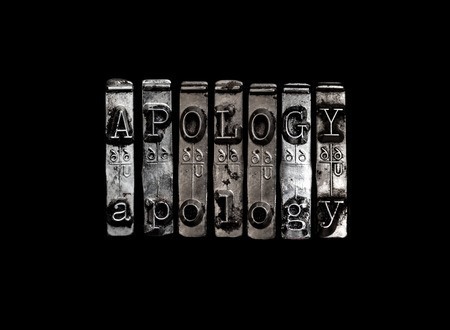 The Art of the Apology is Tolerating Ambiguity. It’s a popular notion to plead with your hurt partner and cajole them into accepting your apology. This is a mistake. 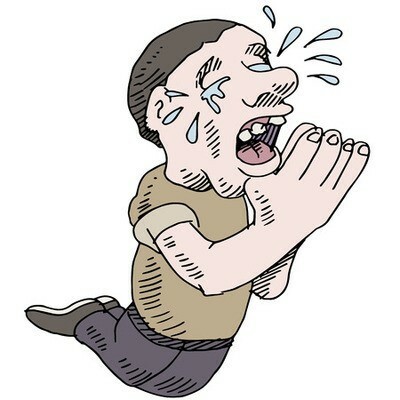 If the offense is grave and serious, the offending partner must be willing to carry the grief of guilt indefinitely, while working to restore trust as much as is possible. Forgiveness in intimate relationships is bestowed. It is not a birthright of bonding. No one “owes” you forgiveness. We are all entitled to our bottom lines. The Art of the Apology is to Repair and Make Concrete, Meaningful Amends. A good apology should include sincere efforts to repair the damage done to your partner. When you’re evaluating the best way to repair and make amends with your partner, be sure to ask them for their input. What “repair efforts” would be most meaningful for them? What assurances do they need? How do they spell repair? How can trust be restored? And what can you both learn about yourselves and your relationship that can make it even stronger?